Imagine waking up on your tenth birthday, so excited to open your presents. Now, imagine that feeling every month. With monthly subscription boxes, you will receive a box packed with awesome goodies of your choosing every month. If you want a new book sent to you every month, you’ll find a subscription box for that. If you want to try out new makeup without going shopping, you can get makeup sent to your front door on a monthly basis. If you consider yourself candle obsessed and want a new one every month… well, I think you know where I’m going with this. Want to experience the joy of fresh, new products of your choosing every month? Check out these 10 monthly subscriptions. Let’s face it: we all struggle with adulting. Doing laundry, vacuuming, food shopping… the list goes on. Why did we never learn this in high school? Oh yeah, trigonometry seemed more important. High school grudges aside, although you can’t avoid laundry and cleaning, Graze can help with part of your food shopping. Graze helps you find delicious and healthy snacks and then sends them to your door each month. “I thought it was great how you were able to customize your snack preferences online and they created a selection based off those preferences,” Vassar College junior Annika Rowland said. The snacks vary each month, featuring a selection of different nuts and seeds, fruits and other sweet and savory options. If you receive something in your box one month that you particularly love, go onto Graze’s website, and you can purchase a full-size bag to cure your munchies. Whether you rock the business casual look or the athletic look, you need socks in your life. Say it with a Sock will send you a unique pair of socks every month to fit your specific style. The Fun Sock of the Month Club includes socks for men, women and children. You choose from pattern, graphic or either type of socks for a surprise. If you want to add to your professional sock collection, check out the patterned socks for more subtle designs like stripes or argyle. If you want fun and bold designs on your socks, check out the graphic socks which include designs like strawberries, pizza, confetti, flamingos, footballs and lots more. If you change your mind about pattern versus graphic socks, you can change your preference each month. Get ready to collect lots of compliments on your socks. A surprise awaits with a fun, high-quality pair of socks for every occasion. Looking for new coffee flavors to add to your k-cup collection (obsession)? If you can’t live without your Keurig, check out the subscriptions offered by MixCups. Choose from two different options: 10 k-cups per month for the average coffee drinker, or 30 k-cups per month for the avid caffeine lover. You choose your preference of either flavored coffee or non-flavored coffee. The options vary for coffee drinkers of all kinds. 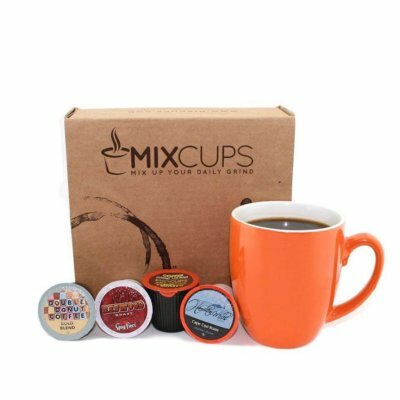 MixCups allows you to try lots of different new kinds of coffee to mix up your morning. If you want the convenience of your k-cups mailed to you each month, check out MixCups to maximize your morning Keurig experience. Makeup gurus on YouTube make it look easy. They get new makeup sent to them from a variety of brands, and they come up with fresh, new looks on the spot. Step into the shoes of a makeup guru with the help of Ipsy. As a college student, your busy schedule doesn’t allow for frequent trips to Ulta or Sephora to try out the latest products. With a subscription to Ipsy’s monthly Glam Bag, you’ll receive five beauty products each month tailored to your style. “The system lets you re-take the beauty quiz and change your preferences, which is great if you’re bored with what you’ve been getting,” Haverford College senior Jaime Metzger said. “I love the face masks that Ipsy sends, and they have great brands for makeup like Tarte and Smashbox.” For a low monthly price, you get high end makeup brands. If you love makeup and want to try new products each month just like a makeup guru, Ipsy’s got you covered. You strive for the perfect room aesthetic: awesome wall decorations, trendy throw pillows and, of course, a candle burning on the coffee table to set the mood. If you frequently burn candles, you will go through your collection faster than Daveed Diggs can rap in Hamilton. With a subscription like Vellabox, you can burn your candles for as long as your heart desires, and your collection will replenish monthly. Vellabox prides themselves on sharing hand-poured, toxin-free artisan candles in a variety of scents and sizes with their subscribers. 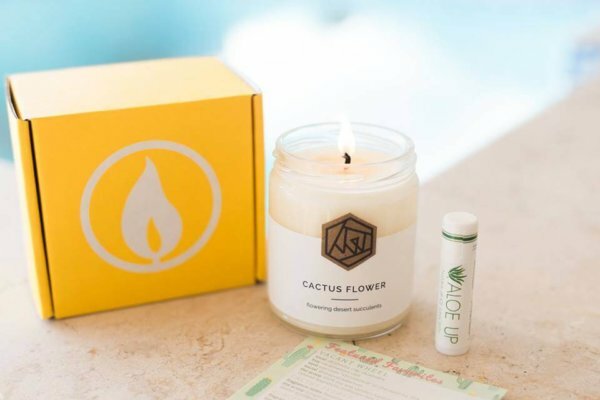 Choose from three different types of subscriptions on their website that range from a four-ounce candle, to an eight-ounce candle and one subscription that includes both sizes. Besides the candle, you will also receive a special bonus gift in your box every month. Who doesn’t love surprises? (No one). Looking to expand your tie collection for those fancy occasions in your life? If you want a high-quality tie sent to your door every month, turn up your tie game and check out Spiffster. They offer subscriptions for a variety of different ties including original, silk, skinny (two inches wide), self-tying bowties and pre-tied bowties. Although you don’t get to choose the pattern of the tie, Spiffster says on their website that all of their ties, made of high-quality materials every time, look great, so you will feel satisfied with your new tie every month. 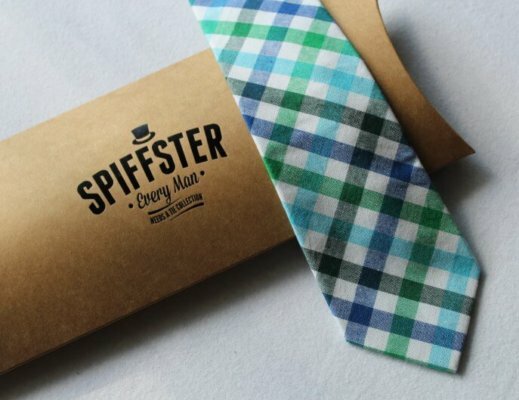 Build your collection month by month and get spiffy with all your new ties thanks to Spiffster. Get with the trend and hop on board the sticker express. If you want a fresh batch of stickers every month, subscribe to Pipsticks. Thanks to the versatility of stickers, you can do just about anything with them. Consider yourself the odd wo/man out if your laptop looks barren. You can decorate your laptop with stickers from Pipsticks. So many college students have stickers on their laptops to showcase their personality. If you live in your planner and rely on it for organization, you need stickers. Decorating your planner with fun stickers will help you stay organized. Don’t just leave scrapbooking to moms—you can easily document memories and fun moments with this activity. 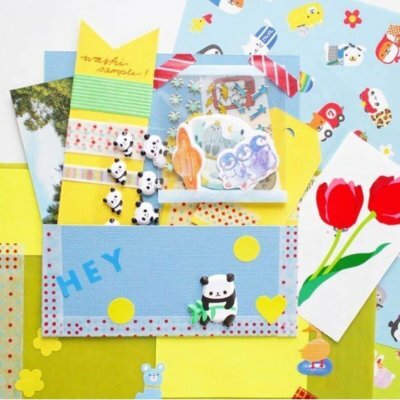 Add stickers to spruce up your scrapbooking pages and personalize them to fit the memories. If you find yourself in constant need of stickers, you’re in luck. With a subscription to Pipsticks, you will receive a variety of designs and sizes of stickers for all of your decorating and planning needs. It seems like a lot of people stop reading for pleasure once they hit college. You have enough reading for your English classes already, and it takes a lot of time to find new books to read. If you want to get back into reading for pleasure without the hassle of going book shopping, check out book of the month subscriptions like Unicorn Crate or OwlCrate. For general Young Adult novels and other fun merchandise, check out OwlCrate. If fantasy books transport you to another world, Unicorn Crate’s got you covered. These Young Adult Lit monthly boxes incorporate a new theme every month to go along with the book. Some past themes include “shadows and secrets,” “across the galaxy,” “tales of time,” and “dragons.” They come with a hardcover book and lots of fun trinkets to match the theme. 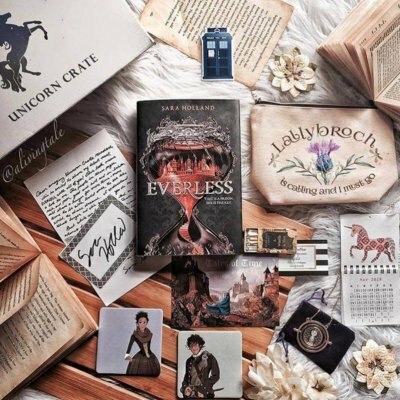 “Unicorn Crate is a great book subscription box for lovers of fantasy and magic because they always have really lovely fantastical themes,” Temple University senior Amanda Gruninger said. “Each box comes with a bunch of cute themed goodies and there is always at least one unicorn themed item included. The box I received was dragon-themed and included items like a candle, a pair of earrings and even a really beautiful bath bomb.” If you want to sit back and read for pleasure, check out these monthly subscriptions that do all the hard work for you. Celebrities rock some pretty fancy jewelry at the Oscars. While you probably won’t get Oscar-level jewelry in a monthly subscription box, you’ll still feel like an Oscar-winner with the help of Jewelry Tree. Plus, it costs less than $10 a month—talk about a broke college student deal. The items that you get vary each month from bracelets, watches, necklaces, earrings and more. In addition, the piece of jewelry comes in a cute little bag each month. You can use the bag to store the piece of jewelry for yourself, or if the piece of jewelry doesn’t fit your style, re-gift it in the bag to a friend. If you want to expand your jewelry collection and get glamorous like the stars on the red carpet without the stress of shopping, check out Jewelry Tree. Your wallet will thank you. Earlier, I mentioned how candles help to achieve that perfect college room aesthetic. Looking for more tips to create the perfect aesthetic? Put some little succulents in your windows. Succulents require such minimal care, so even college students can keep them alive. 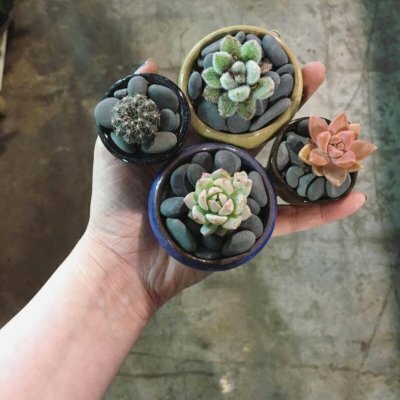 Check out Urban Sprouts to get a cute succulent mailed to your door every month. Whether you aspire to adopt your first succulent or you want to give your current succulents some new friends, Urban Sprouts will walk you through the whole process. You will receive each succulent in perfect condition since Urban Sprouts takes special care to gently package every succulent for transportation. Each month, your new succulent will come with a care instruction card, and you can find additional care tips on their website. Add a succulent to your space for a touch of nature and a boost in your aesthetic with the help of Urban Sprouts.